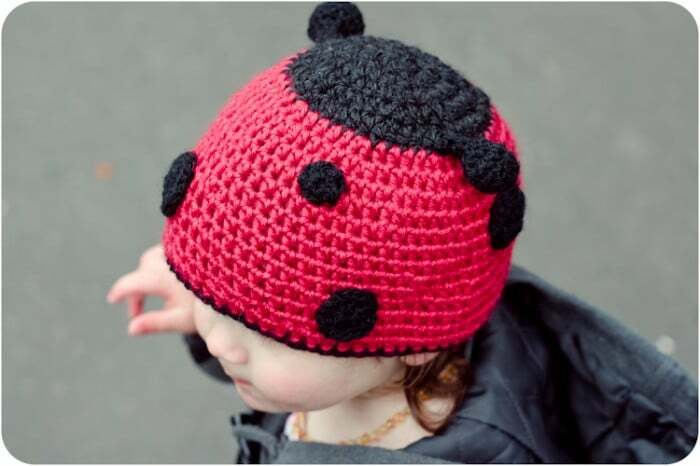 I am so pleased to welcome Kat from Slugs on the Refrigerator, who is sharing her Ladybird Hat Crochet Pattern – she has a number of sizes and here she shares the 1-3yrs old size. 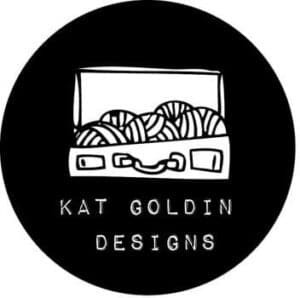 Kat is is wonderfully creative and has come up with a fantastic set of crochet patterns, designs and ideas – many of which are available for free on her website, whilst others you can purchase on Kat’s etsy shop Kat Goldin Designs. Both are well worth a visit! So. 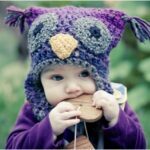 Over to Kat and this adorable crochet hat pattern. 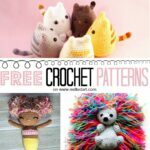 If you haven’t tried crochet before, but are tempted. 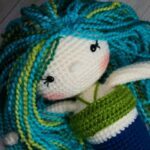 I wrote a “How to Teach Yourself to Crochet” post that you may find useful. 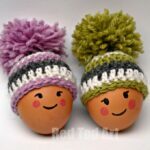 And you may like the Amigurumi Teddies and Bunnies pattern fun! 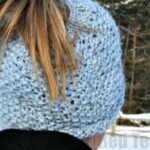 This pattern can be completed in any Worsted or Aran weight yarn. © Kat Goldin 2011: While you have permission to sell finished items from this pattern, I ask that all items sold credit me, Kathryn Goldin, as the designer with a link back to my website Slugs on the Refrigerator . Under all circumstances rewriting, reselling, distributing, or copying the pattern itself is prohibited. Thanks for your understanding and cooperation. The hat is worked in the round, with the increase section worked in black, then switching to red for the main hat body. The spots and antenna are worked separately. 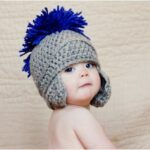 1-3 years (Newborn, Baby, 4+ and Adult sizes are available for purchase from Kat’s Etsy Shop). Starting with black yarn and 5mm hook. Round 7: Ch2, *HDC5, 2HDC into next* repeat from * around. Join. (56) Break black yarn and join the red colour. Round 8: Ch2, HDC56. Join. Round 9-19: Repeat round 8. Break yarn. Join the black yarn to the bottom of the hat. Ch1 and SC around the edge to finish off the hat. – Before starting the anntenae, you will need 2 small balls of yarn, wound to roughly 1 inch/2.5cm diameter to act as stuffing. Round 8: Ch2, SC6 to form the stalk for the antenna. Continue until stalk measures 1.5 inches/ 3.8 cm. 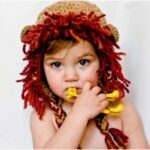 Cut yarn, leaving a long tail for sewing onto hat. Weave in ends. Using black yarn and 4mm/J hook. Round 1: Using a magic loop, Ch2 and make 8HDC into the loop. Join into the 2nd stitch of the Ch2. Pull loop tight to close the bottom of the stitches. (8). Break yarn leaving a long tail to sew them onto the hat. Round 2: Ch2. *2HDC into each stitch* repeat from * around. Join. (16). Break yarn leaving a long tail to sew them onto the hat. Make a loop with the yarn. 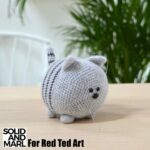 Ensure that the tail of the yarn is behind and pointing to the left. Pinch the bottom of the loop. Put your hook through the loop and place yarn over the hook as you would normally to make a stitch. Pull through. Chain 2 more to secure. Continue as normal, making stitches into the bottom loop. When desired number of stitches in complete, join round. Pull tail tightly to close the hole at the bottom of your stitches. Its important that this tail is securely tied when sewing in the ends so that the hole doesn’t open again. For a variety of other finished crochet designs (including Little Bug Ladybug Hats) and other handmade items, please check out my etsy shop. 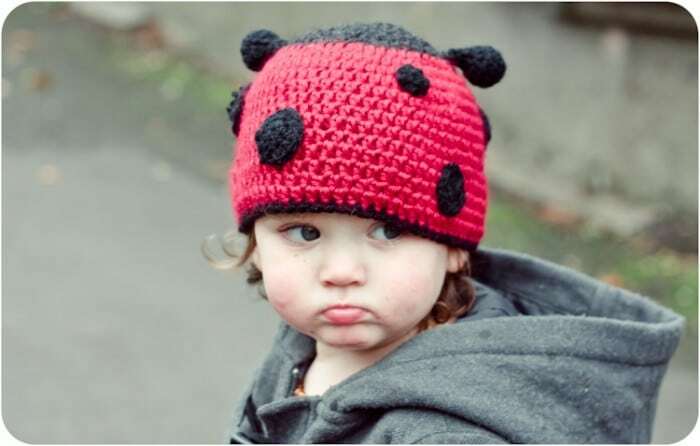 Thank you Kat for sharing this wonderful Ladybug pattern. So cute! I hope you have been inspired today to have a go! 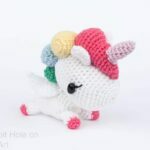 And don’t forget, if you need a little help, I have a “How to Teach Yourself to Crochet” post to help you along the way! Aw, that is so cute! 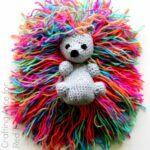 I\’m going on a crochet refresher course this month so I am on the hunt for little projects, thanks for sharing this one! Oooh how perfect! And definitely good to have little projects on the go! This is absolutely adorable. We have a bit of a thing for ladybug\’s in this house. The Duchess has a ginormous head, so even at 10 months, expect we\’d have to get her a much bigger size. Why don’t you check the measurements – they are for 1-3yrs old – to fit a head size 18-20inches? oooh gorgeous! i might have to get my needles out! Thank you and have linked up! 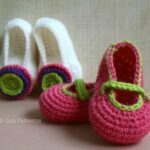 Great guest post and project…If I only had a daughter and the ability to crochet. Regardless, I love it. I’m pinning to my “imaginary daughter” board. I featured you today at my site from last week’s Creative Juice. I’m also sharing this at facebook…Thanks for linking up last week. Hello thank you for the pattern. Could you please tell me what HDC1 means in round 3 of the hat? It’s the 1 after the HDC that I don’t understand Thank you. not sure but i am not understanding the hdc2,2hdc in the next does this mean to to a hdc2together or a total of 4 in one stitch??? not understanding why the number is behind hdc and in front of hdc do they mean different things??? Hello Gloria, I am afraid this is a guest post, I am not sure what the answer is! After searching online and trying about 4 different ways this worked for me…hdc2, 2hdc = hdc in the next two stitches and 2hdc in the third stitch to complete the round. The next round is hdc3, 2hdc which would be hdc in the next three stitches and 2hdc in the fourth stitch and so on. I hope this helps others!